SOUTHINGTON – State Representatives Rob Sampson (R-80), John Fusco (R-81) and Sen. Joe Markley (R-16) rang the bells for the Salvation Army’s annual Red Kettle Campaign at the Walmart in Southington on Monday, December 11th. Together, they raised $27,490.25, which Walmart has pledged to match up to $25,000. 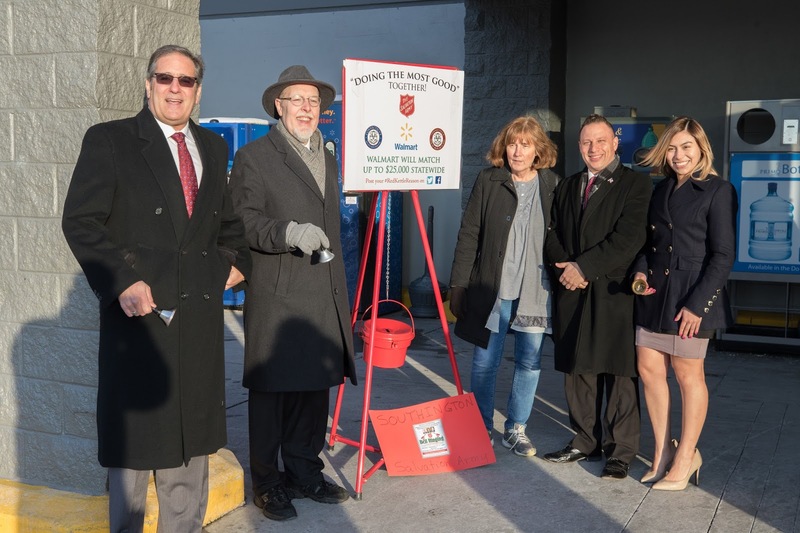 The funds raised across the state will help the Salvation Army provide basic social services to those in need of food, shelter, clothing, and financial assistance. As a group, the Republican caucuses have raised hundreds of thousands of dollars for the Salvation Army over the past several years. The Salvation Army responds to natural disasters such as wildfires and tornadoes, provides meals and toys to families in need, and conducts research and analyses regarding human needs around the country. They also provide adult rehabilitation, veteran services, elderly services, missing person searches, housing assistance, youth recreation, sponsorship, and support in the fight to end human trafficking.